Teams of two climbed a ladder in the #Toronto Exhibition Place wind powered generator for the 1st annual Climb the Turbine fundraiser. 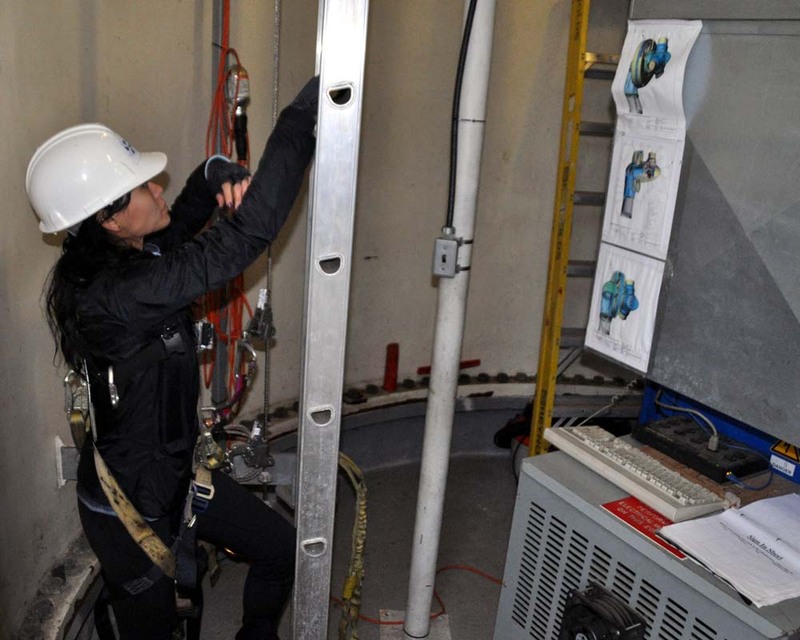 Participants had to raise $1,000 per team to join the climb. Wearing a safety harness and strap the teams went up the long ladder with a guide. 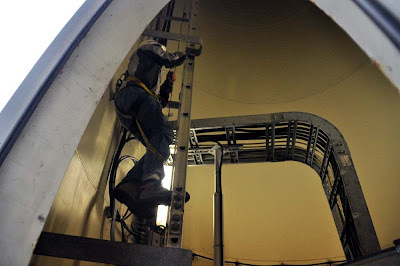 The only break in the climb were three safety platforms where they could rest for short periods. 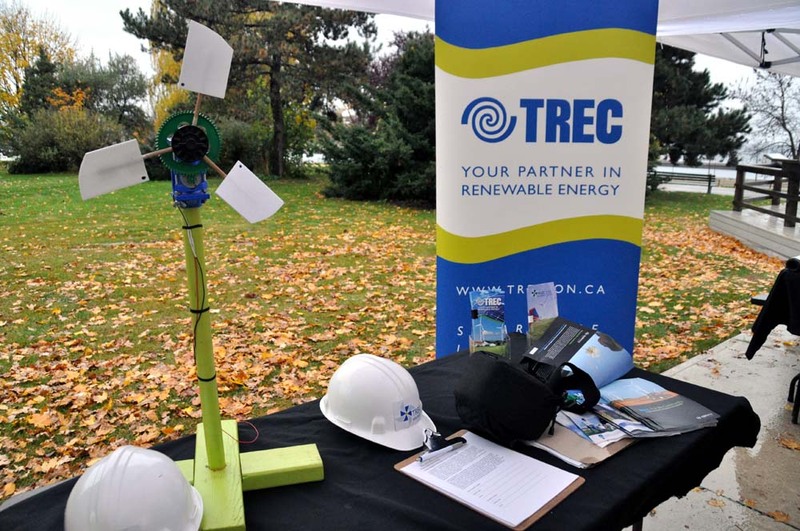 TREC Education (Innovation, Generation and Conservation) will distribute the money raised to sustainable energy and in-class workshops focusing on educating and inspiring students in science. 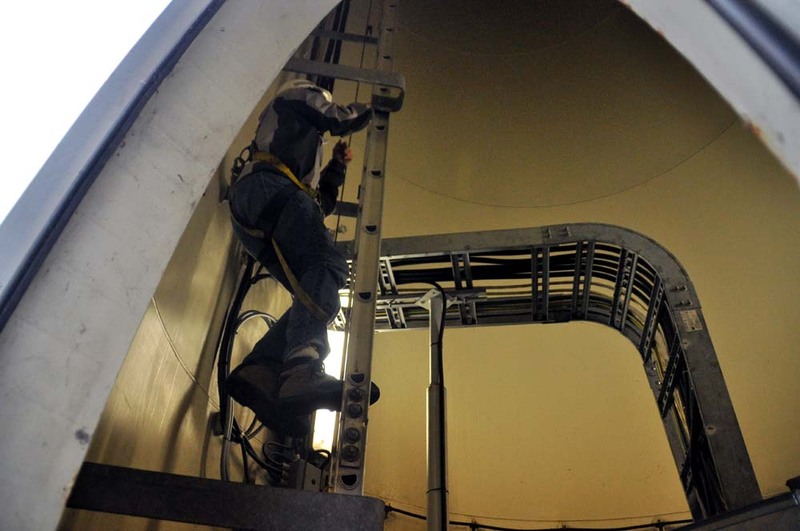 "Why: a) To have a blast participating in North America’s first and only turbine climbing fundraiser! 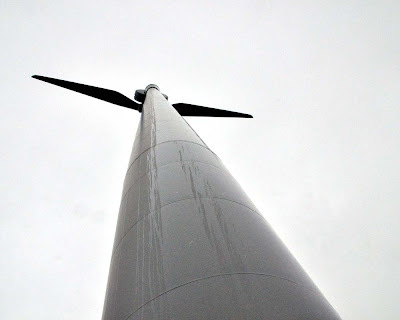 b) To raise money to inspire and educate youth in renewable energy which - a vital step in fighting climate change. 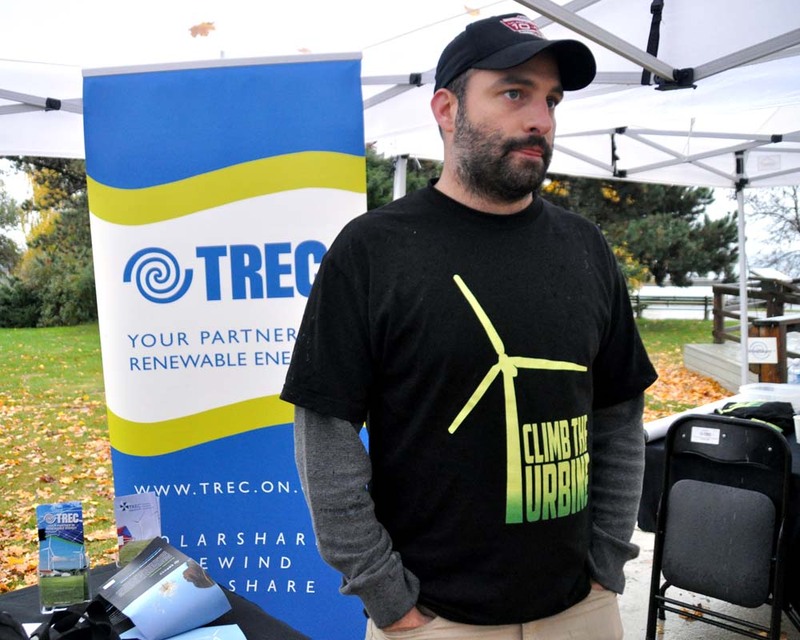 The fight for a sustainable future is at a critical juncture in Canada and across the world. Participants will raise money for Kids’ World of Energy, a program that delivers in-class, hands-on workshops for students across Ontario.Youth are the deision-makers of tomorrow - it is crucial that they are well-informed of the importance of renewable energy and the possibilities it holds." North America's first and only turbine charity climb takes place this weekend (October 26-28, 2012). 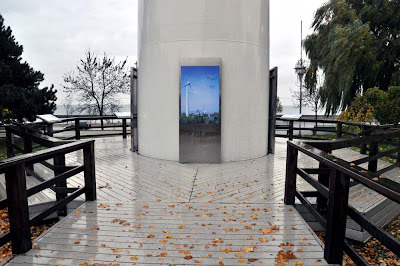 The extra bonus is the plexiglass window at top of the tower - you can look at Exhibition Place from a new point of view. the See more after the jump.